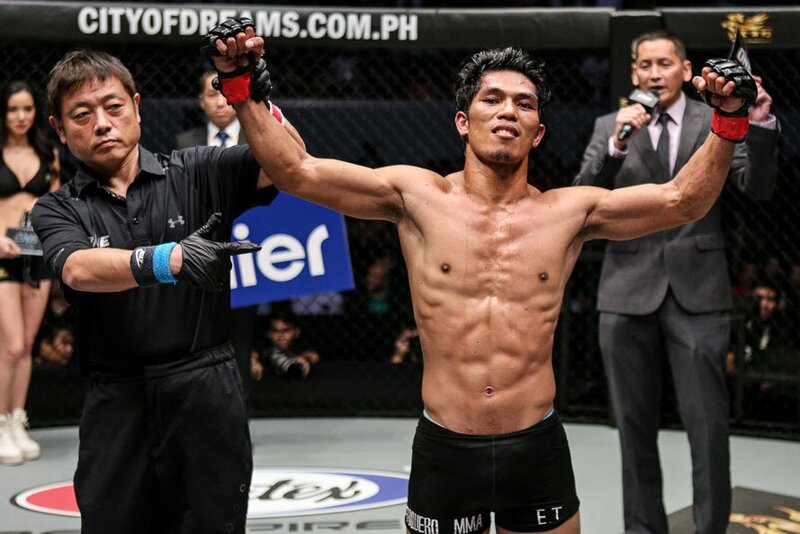 Filipino mixed martial artist Eugene Toquero is looking forward to bouncing back from a dismal 2016 as he makes his eighth trip inside the ONE Championship cage. The 35-year-old Cebu-native seeks vindication when he faces top Indonesian prospect Stefer Rahardian on the undercard of ONE: KINGS OF DESTINY, which takes place at the 20,000-seater SM Mall of Asia Arena in Manila, Philippines on Friday, 21 April. With seven of his professional 8 victories coming by way of knockout, Toquero has a knack for executing highlight-reel striking techniques and is very unpredictable, operating at a pace that his opponents find hard to keep up with. However, Toquero is coming off two-straight setbacks in 2016, yielding to interim ONE Flyweight World Champion Adriano Morales via first-round submission in March before tasting the same fate at the hands of Team Lakay’s Danny Kingad last December. Toquero stressed that he has made some crucial adjustments to his preparation as he desires to be on the winning track once again. “I have made other adjustments. I train longer and harder now. I don’t want to be complacent because I am not getting any younger. This is a huge organization with a lot of very good fighters from all over the world. I want to make my mark. This is my time to shine,” Toquero said. The man standing in his re-entry to the winner’s column is Rahardian, who impressed in his ONE Championship debut by winning the ONE: TITLES & TITANS Flyweight Tournament in August 2016. For his three-round flyweight encounter with Rahardian, Toquero is now working with Hybrid Manila MMA. Satisfied with the outcome of his training camp, Toquero believes that his forthcoming contest with Rahardian will be having a result in his favor. “Training had a good turnout. Everyone in my camp extended their helping hand. I feel so rejuvenated for this fight. I don’t know if there is anyone who can cope up with my pace,” he confidently stated. Although Toquero had a strange ritual to gauge his chances in a match by running his fingers through his fluffy black hair, he is determined to secure the victory at ONE: KINGS OF DESTINY regardless of what his hair might foreshadow. With the amount of time and energy he has put into training, Toquero is driven to break his losing spell and redeem his status as one of the most exciting flyweights in the Asian region. “If my hair stands up or falls down it does not matter. This time, l will make sure that my hand is raised as the winner that night,” he ended.